A painting of the Dutch artist Cybersissy artist who makes extraordinary clothes. 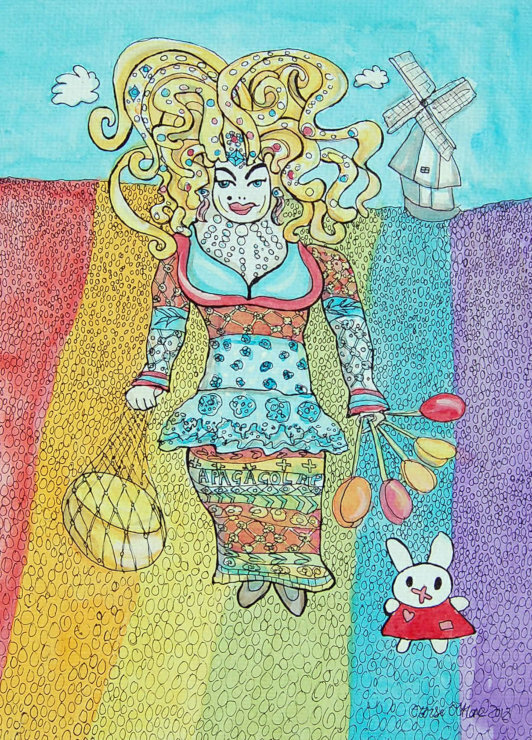 In the painting she's standing in a rainbow tulip field carrying a big cheese and a bunch of tulips. She's accompanied by Miffy. With the mount and frame the painting measures 46 x 57cm.